Marchionne, 65, plans to retire in the first half of next year. MILAN -- Fiat Chrysler Automobiles CEO Sergio Marchionne collected shares valued at about 29 million euros ($35.7 million) for the three-year period ended in 2016, according to the automaker’s 2017 annual report filed Tuesday. He also earned 9.68 million euros ($12 million) in base compensation and bonuses for 2017. Fiat Chrysler awarded the shares as part of a performance-based pay program in which Marchionne achieved all profit and business plan targets and delivered a 280 percent total shareholder return during the three-year stretch. That was tops among the 10 auto manufacturers the company counts as its peers and topped the 24 percent median return. 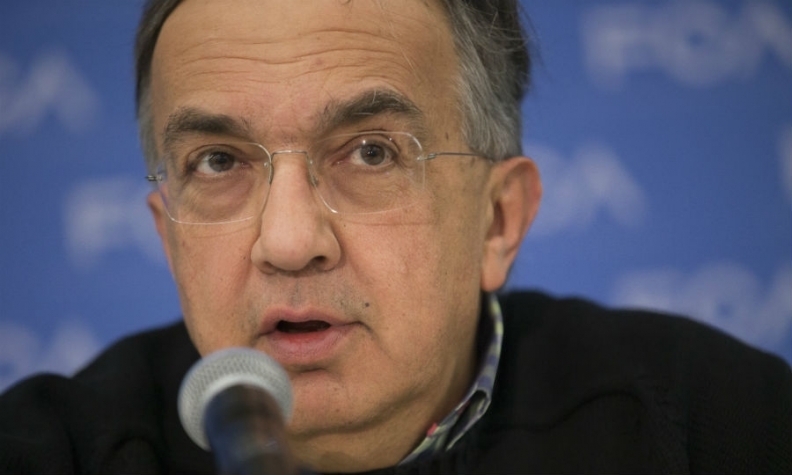 Marchionne, 65, plans to retire in the first half of next year. He sold some of the stock delivered to him in 2017 to pay for associated taxes, the company disclosed in November. FCA stock has been on a meteoric rise over the past five years. It traded between $3-$4 per share during much of 2013. It traded for about $10 a share last April. It surged to a peak of $24.95 in January and on Tuesday was trading for more than $22 a share. The dramatic rise in Fiat Chrysler’s stock has had a multiplier effect on Marchionne’s wealth, putting the 65-year-old executive in the ranks of the mega-wealthy who typically found and own companies, not those hired to run them. Marchionne owns Fiat Chrysler shares now worth about $362 million, along with $190 million of Ferrari and $169 million of truck-and-tractor maker CNH Industrial. That's a combined stock value of $721 million. Marchionne, who is credited with saving Fiat in the mid-2000s, completed the full takeover of Chrysler in 2014 to create the current company. He also oversaw the IPO of Ferrari in 2015 and its spinoff the next year. He sold more than one-third of the 2.8 million shares delivered to him in 2017 to pay taxes, the company disclosed in November together with the share award. Even so, the stock’s rise means the remaining 1.8 million shares are now worth almost $40 million -- more than the initial grant. Fiat Chrysler awarded the shares as part of a performance-based pay program in which Marchionne achieved all profit and business plan targets and delivered an almost quadrupling of value to shareholders during the three-year stretch.